Veterans have worked hard to defend their country and should not have to worry about getting their benefits denied. In the past, veterans have had to wait many months and even years to get the benefits they deserve. A new process is hoping to change that. Starting February 19, the Department of Veterans Affairs (VA) will implement new appeals modernization rules. This effort has been underway for the past 18 months and it’s ready to be revealed. The new rules will give veterans three options to file an appeal. The first option allows veterans to file a supplemental claim and add new evidence to support their case. Specialists at a regional office will review the claim and render a final decision on it. The second option allows veterans to have a senior claims adjudicator review their claim instead of the regional office. These reviewers are experts who will look for clear errors. If they find mistakes, they can mandate corrections. The third and final option will allow veterans to appeal directly to the Board of Veterans’ Appeals. Those cases will take the longest to process. Veterans can request a hearing or get a direct decision. All options are in place to streamline the often-complicated and lengthy process, with some cases lasting several years. With the new rules in place, the goal is to have the most complex cases settled in under a year. Cases that do not have to go before the Board of Veterans Appeals are expected to be settled in under four months. These changes are exciting to veterans and are long overdue. 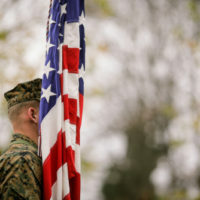 Instead of waiting for ages to be approved for disability benefits based on service-related injuries and illnesses, veterans will be approved much more quickly, and once they are, they are eligible to receive thousands of dollars in monthly payments to help with food, housing, medical care and other expenses. Decisions about benefits will be more timely and accurate. Rep. Phil Roe, R-Tenn., recently visited a regional office that will be involved in the new appeals process and is confident it will be successful. He says that the VA staff feel positive about the changes. They have spent some time working through the issues and are ready to move forward. Staff members will need to train on the new processes and gain the necessary experience to move these claims along through the process, but those involved feel optimistic. Once the new system is rolled out, veterans with pending cases will have two options. They can opt into the revamped processes or keep their case in the current system if they feel it will be more beneficial. The veterans benefits system is complex, so it’s hopeful that this new system and will help veterans receive decisions quicker and get the benefits they need to survive. However, there are likely to be glitches and delays that could continue to impact veterans. Don’t settle for a denied claim. Get the veterans benefits you deserve by calling the Law Office of Michael Lawrence Varon in White Plains. He can help you fight for your rights. To schedule a consultation, call his office at 914-294-2145.